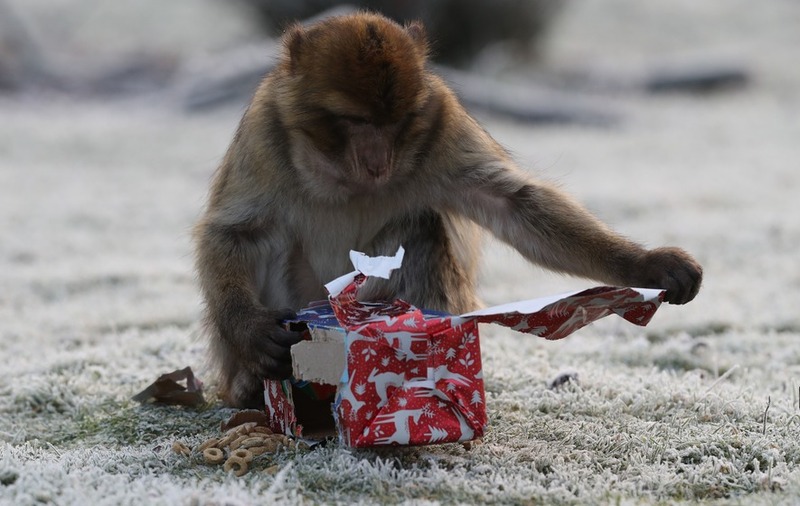 The Barbary macaques unwrapped their presents to find treats. Keepers at a safari park ensured their animals were not left out of the Christmas fun by handing out presents. Tasty treats were covered in layers of wrapping paper and given to the Barbary macaques at Blair Drummond Safari Park, near Stirling. The macaques were excited to open their presents and uncover their Christmas nibbles. And similar to many families across the country, they got together to open their gifts. One then ran off with a favourite parcel. As well as giving the animals an extra snack, the presents helped keep the animals entertained. Known as highly sociable, Barbary macaques are the only free-living primates in Europe, except humans, and are named after the Barbary Coast of north Africa. 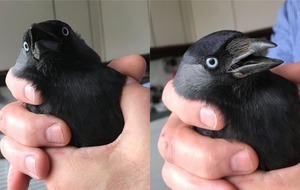 The endangered species are under threat in the wild due to many being sold into the illegal pet trade and the loss of habitat through logging.